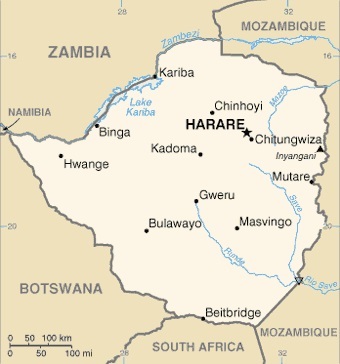 The Republic of Zimbabwe is a landlocked country in southern Africa. It shares land borders with Botswana, Mozambique, South Africa, and Zambia. As of 2009, the population of Zimbabwe was estimated as being 12,521,000. The country's capital and largest city is Harare, which, as of 2006, had an estimated population of 1.6 million, with about 2.8 million people living in the city's metropolitan area. This short "Travel Guide" is a must have for anyone planning to travel to South Africa, or in particularly Zimbabwe. This book was actually Ghost Written by a South African native. So who can you get better information from then an actual resident of the country? This will hopefully be the first in my Guidebook Series on Travel & Holiday Guides. So if you're a Foreign Traveler planning to visit Southern Africa anytime soon or visiting any other Country, please check out my additional Travel Guides.. This is the only up-to-date guide to Zimbabwe. Harare is once again a thriving metropolis with a profusion of new restaurants and accommodation and, with some of the finest national parks in Africa, the country is blessed with stunning landscapes and an abundance of wildlife. The Zambezi River offers adventure holidays and Victoria Falls leaves visitors breathless, while the range of birdlife draws enthusiasts year-round. This guide offers in-depth information on the facilities, advice on itinerary planning as well as how to select a safari. Accommodation is covered with up-to-date information on everything from luxury safari camps to budget stays for younger travelers who arrive overland, heading for the fast flowing waters of the Zambezi gorge.